A team of US Navy SEALs has carried out a strike on a coastal town in southern Somalia against al-Shabab, the group behind last month’s mall attack in the Kenyan capital Nairobi. The SEALs attacked a senior al-Shabab commander’s seaside villa in a pre-dawn raid in the town of Baraawe, The New York Times reported. A US military official said that the SEALs did not get their target. A former US military official also confirmed the assault by the SEALs, but did not give more details. “The Baraawe raid was planned a week and a half ago,” a US security official said. “It was prompted by the Westgate attack,” he added, referring to the September 21 attack by the al-Shabab on a shopping mall in Nairobi that left 67 people dead during a four-day siege. According to reports, the dead also included three British nationals, two French women, two Canadian citizens including a diplomat, a Chinese woman, two Indians, a Ghanaian poet, a South Korean, a South African, and a Dutch woman. Several Americans were also injured during the hostage crisis. The US Defense Department declined to comment over the issue. The al-Shabab confirmed the strike, but said that the attack had failed. Al-Shabab spokesman Abdulaziz Abu Musab said that commandos had stormed the beach by boat. “The bungled operation was carried out by white people, who came with two small boats from a larger ship out at sea … one Shabab guard was killed, but reinforcements soon came and the foreigners fled,” he said. “Where the foreigners had been, afterwards we saw lots of blood, so maybe we wounded some,” he added. On September 25, the leader of Somalia’s al-Shabab, Ahmed Godane, confirmed that the group was behind the attack on the mall, saying the raid was in retaliation for the Kenyan military’s invasion of southern Somalia in October 2011. “Take your troops out or prepare for a long-lasting war, blood, destruction and evacuation,” Godane said. Kenya has more than 4,000 army soldiers in southern Somalia, where they have been battling the al-Shabab fighters since 2011. The Kenyan troops are part of the African Union Mission in Somalia (AMISOM) that gets training and equipment from the United States. Somalia has not had an effective central government since 1991, when warlords overthrew former dictator Mohamed Siad Barre. The powers that be want us living in an absurd world living an absurd life. The Gun Shooting Hoax World Tour Hits Kenya – Kenyan Mall – …. 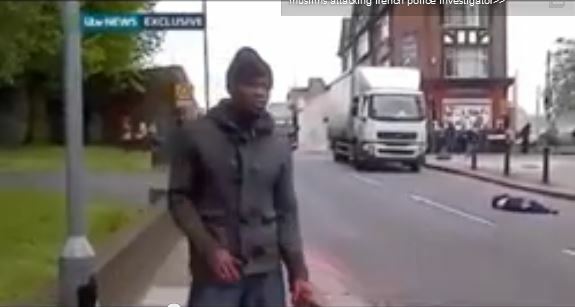 Before Michael Adebolajo was caught on camera with blood-soaked hands wielding knives after allegedly beheading British soldier Lee Rigby in South East London, British intelligence agents attempted to recruit him according to a friend. Abedolajo, a 28-year-old British national of Nigerian descent, was identified by friends, acquaintances and British media as the man seen in the video of the aftermath of the Woolwich murder. The BBC reported that Adebolajo and 22-year-old Michael Adebowale were both known to MI5 for eight years, citing anonymous Whitehall sources. According to the New York Times, Adebowale was born in Nigeria and immigrated to the UK as a child. Adebolajo was born in Britain to a Christian family that moved from Nigeria. Adebolajo reportedly converted to Islam after the attacks on September 11, 2001. According to Adebolajo’s friend Abu Nusaybah, MI5 agents attempted to recruit Adebolajo six months ago. Interestingly, Nusaybah was arrested immediately after he made the statements to the BBC in an interview. Nusaybah was arrested by British counter-terrorism police on suspected terrorism offenses, according to CNN. The arrest was not connected to the Woolwich killing, according to a Scotland Yard spokesman who talked to CNN. According to an unnamed BBC employee, British police waited inside the BBC studios in London while the interview was conducted and waited for it to conclude before making the arrest. Police confirmed that Nusaybah, 31, had been arrested in relation to suspected terrorism offenses, according to the BBC. Police added that search warrants were being executed at two east London homes. In the interview, Nusaybah said that he believed “a change” took place in Adebolajo after he returned from a trip to Kenya last year. Nusaybah said that in his opinion Adebolajo had been sexually abused though Adebolajo was too “ashamed” to say what happened. Adebolajo was “basically being harassed,” according to Nusaybah. “His wording was, ‘They are bugging me – they won’t leave me alone,’” Nusaybah said of Adebolajo. A friend of Adebolajo, Abu Baraa, refused to condemn the killing and called Adebolajo “very caring” in an interview with CNN. Similarly, Omar Bakri, a Syrian-born Islamist who reportedly once taught Adebolajo, said he was surprised by Adebolajo. “When I saw that, honestly I was very surprised – standing firm, courageous, brave. Not running away. Rather, he said why he carried (it out) and he wanted the whole world to hear it,” Bakri said. Bakri, along with Shah Jalal Hussain, who was convicted of fundraising for terrorists in a UK court, debated Christian apologists Sam Shamoun of Answering Islam and David Wood of Answering Muslims in 2011. Anjem Choudary, who previously protested with Adebolajo, similarly praised the attack in an interview on the BBC. Please support alternative news and help us start paying contributors by donating, doing your shopping through our Amazon link or check out some must-have products at our store. After revealing on TV that Adebolajo was in Kenya and was being recruited or perhaps ‘groomed’ in some way – by the British intelligence services, the attacker’s childhood friend and BBC Newsnight guest, Abu Nusaybah, was prompted arrested by the British Anti-Terror agency should raise more questions than answers. Two important questions: was this attack just a random event, and more importantly, what is the real connection between this assailant and the British MI5 intelligence services? Was he being groomed as a an informant, or as a operational role player – or could MI5 harassment have contributed to radicalising the man? All fair questions. And what was a young Nigerian like Michael Adebolajo doing in a place like Kenya? One answer: not likely on holiday. The Mail has reported two days ago that he “may have been stopped or arrested on his way to join the militant Islamist group Al Shabaab in Somalia in the past year”. More importantly, have British authorities detained an innocent man in Abu Nusaybah, as a political prisoner, or because he knows too much? The death of an off duty British soldier is certainly a tragedy. But this latest development points to something even more shocking right now – that a culture of spooks and secrecy in Britain has somehow given birth to a nasty blister on the surface of our society. Either way you cut it, attaching MI5 to Adebolajo does not look good. A friend of one of the suspected killers of a soldier butchered in a London street was arrested by counter-terrorism officers yesterday after going on television to allege that Michael Adebolajo was tortured inKenya and harassed by MI5 – who asked him to spy for them. The allegations came from Abu Nusaybah, who was arrested under terrorism legislation minutes after finishing recording his interview for BBC Newsnight. The Guardian understands that Nusaybah is connected to extremists formerly in the banned group al-Muhajiroun. Counter-terrorism officers turned up at reception at the BBC’s central London headquarters as his interview was being recorded an hour before it was broadcast. The officers waited, then arrested Nusaybah as he left the BBC’s headquarters. 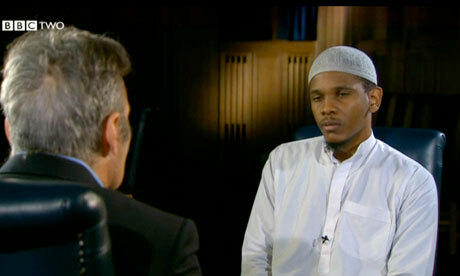 In the interview, Abu Nusaybah in part attributed Adebolajo’s radicalisation to his alleged ill-treatment in Kenya. Nusaybah alleged that Adebolajo was arrested while studying in a village in Kenya last year. After refusing to answer questions, Adebolajo was told that he was “not in the UK” and was then, he claimed, sexually assaulted. On his return, “he became more reclined [sic], less talkative. He wasn’t his bubbly self,” said Nusaybah, who said that the experience further radicalised Adebolajo. The Guardian has learned that, last year, Adebolajo went to a lawyer to complain of harassment by MI5, who are drawing criticism today for knowing about the 28-year-old but not assessing him to be a bigger terrorist threat. He was arrested at the scene of the soldier’s murder in Woolwich on Wednesday in the first terror-related death on mainland Britain since the 7 July 2005 bombings. IMF food subsidy cuts, import-dependent staple food, an independence movement by Muslims in Mombasa and many more, has put Kenya in serious trouble. Hunger speculators lead by financial terrorists such as Goldman Sachs are using the drought in the USA, the world’s largest producer of maize and corn, to drive prices to what are predicted to be record levels, more than doubling by early 2013. This forces Kenya’s imported maize dependent population’s malnutrition rate into meltdown status. It was record food prices that triggered the “Arab Spring” in Tunisia and Egypt and Kenya stands on the brink of a similar explosion. The US instigated Kenya’s criminally foolhardy invasion of Somalia and has landed the Kenyan military, an ill-disciplined, brutal and corrupt band of uniformed hoodlums, in a quagmire that is spreading the flames of rebellion throughout Kenya’s north eastern Somali population. “Riots” and “terrorist attacks on police” are taking place mainly in the port city of Mombassa, home to a simmering independence movement amongst the long marginalized Muslim population. On this week’s INFocus, we discuss if Kenya will see a civil war splinter the country in 2013. Watch this video on our Website: http://www.presstv.ir/Program/291855….